A classic 3 reel, 1 payline mobile slot straight from the showrooms of Vegas. BetSoft are far more known for their 3D graphics and feature heavy slots, than the simple classics, but with this Lucky 7 slot they are giving us exactly that. And we have to say, it suits the usually complicated graphic heavy game software. Because BetSoft are so use to creating complicated games, here they might have kept the game simple, but they couldn’t help themselves but create a graphically beautiful classic slot. The style is still very old school, but we are use to mobile classic slots to look… well… to be honest… like an after-thought. Quickly put together and sent along the production line. Not so here. 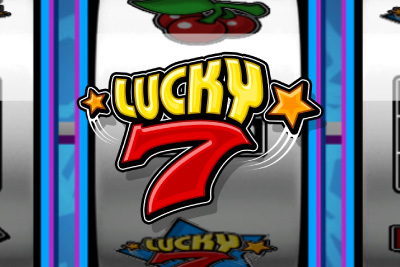 Lucky 7 mobile slot is as classically beautiful as you would see in any land-based casino, giving you an original look and feel that almost makes you think like you could be playing on an original fruit machine. With the traditional fruits and bar symbols and sounds not unlike those we are use to hear down our local pub, it was surprisingly a joy to play. Just be sure that you play the maximum 3 coin spin, which can still, at the denomination of 0.02 be as little as 0.06 to a maximum bet of €/$/£3. Why? Because only at on the 3 coin spin will you get a chance to get the jackpot of €/$/£5,000 and this will, in turn, increase the expected long term payout percentage of the machine. Surprisingly we think BetSoft have found their calling and should create far more classic slots for us to enjoy. With beautiful graphics and game play Lucky 7 slot on phone and tablet will take you right back to when you first spinned those reels at your first casino. One for classic lovers and people who want a few simple spins on the go.